Biodiversity often falls victim to competing claims on nature and its use. Despite the substantial efforts at EU and global level to protect, conserve and enhance the natural capital, assessments show that biodiversity is still being lost and that most ecosystems are seriously degraded. In fact, humanity has wiped out 60% of mammals, birds, fish and reptiles since the 1970s, leading the world’s foremost experts to warn about the earth’s sixth mass extinction event under way. 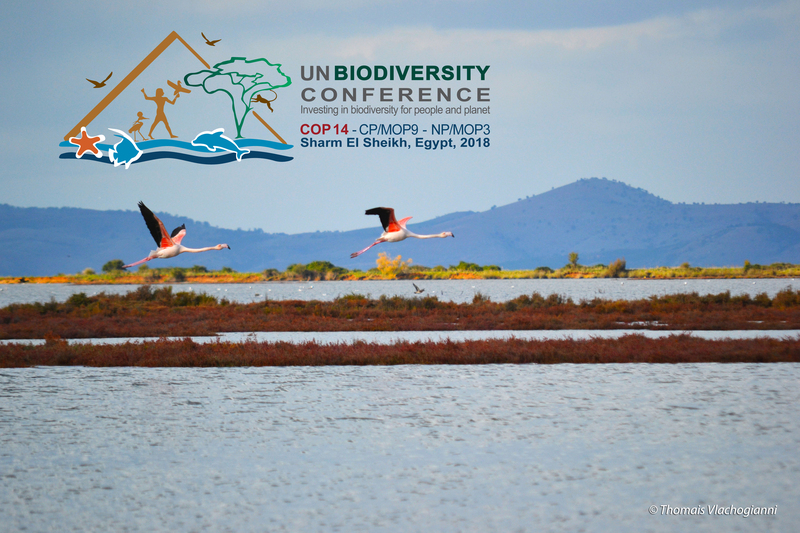 Dr. Cristiana Paşca Palmer, Executive Secretary of the UN Convention on Biological Diversity, emphasized at the UN Biodiversity Conference held in Egypt, the critical urgency for the international community to work together to preserve global biodiversity now. “If we do not act we soon may reach tipping points that may cause irreversible destruction to nature and ultimately to humankind”. With only two years remaining in the commitment period for the Strategic Plan for Biodiversity 2011-2020, governments need to ramp up their actions to achieve the 20 targets they established in Nagoya, Japan in 2010. Within this context, comprehensive policies and strategies deploying an integrated approach that can be offered by the so-called ‘nexus’ of water-energy-food-ecosystems, is pivotal. The term nexus has been used in a variety of contexts with the aim of advancing an understanding of how sectors are linked, and in turn to inform a cross-sectoral and coherent governance. The ‘nexus’ approach, though introduced some decade ago, has been re-introduced relatively recently and has received momentum. It focuses mostly on the mutual interdependencies of water, energy and food, with the latter two sectors understanding the nexus mostly on the demand side to meet their needs. The Mediterranean Information Office for Environment, Culture and Sustainable Development (MIO-ECSDE) has insisted at international fora for the full consideration and inclusion of ecosystems, and thus of biodiversity, in the ‘nexus’ with an equal weight as the other sectors/components. The side event, led by the MIO-ECSDE Chairman, Prof. Michael Scoullos and Ambassador Ambassador Shahira Hassan Wahby of the League of Arab States, featured the links and dynamics between resource systems to ensure their coherent and responsible management and debated the optimal coordination options among the ‘nexus’ sectors at local, country, transboundary and regional (e.g. Mediterranean) levels. Related cross-cutting challenges, for example on required governance and needed financing, as well as opportunities, like on employability out of application of ‘nexus’ approaches, while contributing to gender equality and youth engagement objectives, were also discussed. The side event was organized on the 18th of November 2018 by GWP-Med, MIO-ECSDE and RAED. It is part of the “Making Water Cooperation Happen in the Mediterranean” (Water Matchmaker) Project supported by the Swedish International Development Cooperation Agency (Sida), and the 2018 work programme of MIO-ECSDE (LIFE+).